So it`s not fair for Celtic fans to travel to Edinburgh(near Tynecastle) but it`d be OK for Jam Tart fans to travel to Glasgow(near Parkhead). 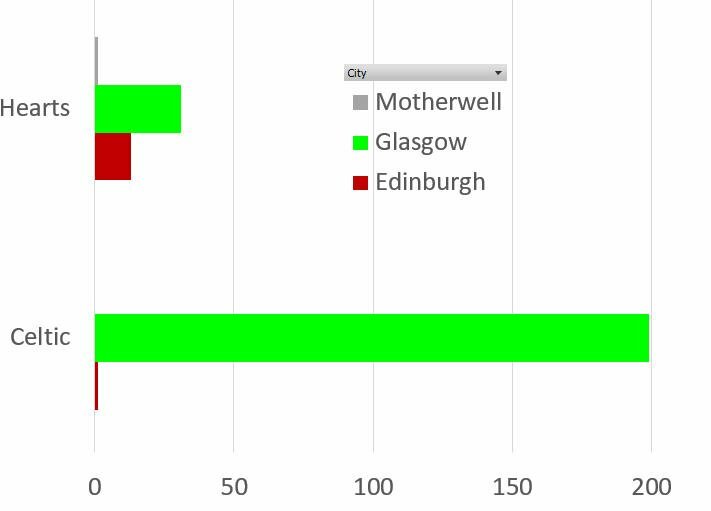 Since neutral venues were introduced in 1912 in the Scottish Cup and excluding 2 legged SFs in the League Cup. Celtic have played in 200 SF or Final matches. To be completely fair to Celtic fans, I think their semi final vs. Hearts should be played @ Celtic Park. Perhaps the other semi final could be @ Cove Rangers` ground. Ah yes, but Celtic have played a few games recently @ Hampden so that would have given THEM an advantage there too. Pity Firs Park has gone because that WOULD have been a neutral venue. Clearly not a problem in the women's game! On 9th March 1912, Clyde beat 3rd Lanark 3-1 at Hampden Park to reach their 2nd Scottish Cup Final and three weeks later Celtic beat Hearts 3-0 at Ibrox Park to join them. So what? you might well ask. 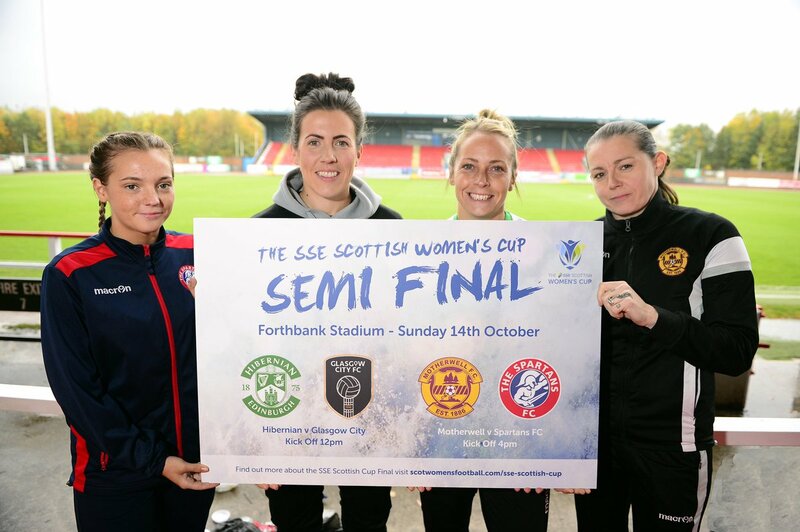 Well, it`s more than a hundred years since the SFA decided that all semi finals should be played at neutral venues. For the first 38 years of the competition the semis were played on the ground of the first named club out of the hat. Because just a few clubs dominated the very early years the games in the step before the Final were generally held either in Glasgow or down the river in Dumbartonshire(contemporary spelling) and because only a handful of clubs had more than very primitive facilities these fixtures sometimes came to be played on what was best available hence the maiden competition`s last four in 1874 settled their differences on 1st Hampden Park, Renton vs. Queen`s Park, and Kinning Park for Blytheswood vs. Clydesdale instead of the public parks then the homes of the forenamed. For the following season matters had still to settle comfortably into the common pattern; Clydesdale had first choice of their Kinning Park in 1875 to face Queen`s Park, Queen`s then had home advantage in the replay and Clydesdale had it in the 2nd replay while Renton, still playing on the village`s public park, switched to Dumbarton`s Meadow Park for their tie and for the replay. In 1876, the 3rd Lanark Rifle Volunteers faced Dumbarton at their first Cathkin Park but strangely Dumbarton`s ground wasn`t considered big enough to host such illustrious Glasgow visitors for the replay and Vale of Leven`s North Street ground in Alexandria did the honours while Queen`s Park dispatched Vale of Leven in the “biggy” at 1st Hampden. The SFA now came up with an awkward method of drawing up the rounds which avoided any byes until -the semi final! So, instead of making sure later rounds involved 16 clubs then 8 and then a pair of semi finals, everyone got a game until there were only three sides left and one received a bye to the Final which is what happened in 1877. Quarter final winners Rangers strolled unhampered into the Final leaving Ayr Thistle and Vale of Leven to tussle for the right to play them. Thistle, a distant forerunner of United, played out of Robbsland Park on the Maybole road and agreed to meet their opponents on Clydesdale`s Kinning Park on Glasgow`s South Side. One can only hope they had reasonable financial recompense for their 9-0 thrashing. For 1878, Vale of Leven was the lucky recipient of the semi final bye leaving Renton and 3rd LRV to fight it out firstly at Tontine Park and then Cathkin for the replay; the soldiers winning through. Helensburgh and Vale of Leven drew the short straws in 1879 with Rangers again the lucky boys with the bye to the Final. The semi final derby went on at tiny Kirkmichael Park at the Clyde holiday resort but home advantage couldn`t compensate for Vale`s superior style. The vagaries of the draws in 1880 meant two semi finals and with no ping pong ball/golf ball in the bag in those days giants Queen`s Park and Dumbarton contested one semi at 1st Hampden and Thornliebank played host to Pollokshields Athletic at Thornliebank`s Deaconsbank Park; the hosts won both games. Queen`s Park accepted the bye in 1881 so Vale of Leven entertained Dumbarton at their North Street ground for the right to fight them at the ultimate round. Rotten visitors spoiled the party – the Sons of the Rock won. Single game semi finals are now a thing of the past but not “first out = home game”. For 1882, certainly Dumbarton`s Boghead Park hosted little Cartvale who must have wished they`d just scratched instead of travelling down from Busby – the Sons annihilated them 11-2, the biggest ever semi final score; but for the other game, Kilmarnock Athletic gave up home advantage to play Queen`s Park at Hampden and came oh so close to a major shock losing only by the odd goal in 5. Athletic returned the following season, 1883, and only lost out to Vale of Leven on a replay at Holm Quarry after holding Vale 1-1 @ North Street. Pollokshields Athletic chose to switch their semi vs. Dumbarton to Hampden but lost there by a single goal. They successfully protested and, three weeks later, returned to Hampden but probably wished they hadn`t bothered because although again they didn`t score, the Sons hit five. By now, 1884, we`re well into the swing of things with all semi finalists being sufficiently well set up to have their own, private grounds and never again was a “neutral” ground needed except for 2nd replays - the Dundee vs. Renton 2nd replay went to Celtic Park in 1895(Renton, as is often the case after a couple of close encounters, winning quite easily 3-0), the 1906 second replay between St.Mirren & 3rd Lanark being settled in the 3rds` favour at Ibrox Park and Hibs and Dundee for some inexplicable geographical reason sorting themselves out at Celtic Park in 1910`s 2nd replay - The Dark Blues won and then took another three games to overcome Clyde at Ibrox to lift the trophy for the first and only time. Celtic, en route to their notorious clash with Rangers in the Final of 1909, had home advantage in both their semi vs. Clyde and the subsequent replay the following week. Of the 72 semi finals played in the years before neutral venues, remarkably only 36 were won by the side initially drawn out of the hat first and that includes them then winning replays on their opponents` grounds. This falls to a niggardly thirty sides drawn at home winning there at the first attempt so, perhaps, the setup wasn`t quite as unfair as it initially seems. Quite why the Scottish Football Association persisted with a luck of the draw system for their Cup semi finals for so long is a mystery. In England where the only similar competition preceded its northern counterpart, having all semi finals at neutral Kennington Oval was abandoned as early as 1882 in which year the Wednesday played Blackburn Rovers in Huddersfield. Two years later the English FA insisted that all semi finals be sorted out in a neutral town hence Queen`s Park having to send through to Edinburgh for their replay vs. Nottingham Forest in 1885 although the question of quite why it was played in the grounds of Merchiston Castle School and not Tynecastle or Easter Road has never been satisfactorily answered.